Former Soul II Soul member Melissa Bell, 53, has passed away. 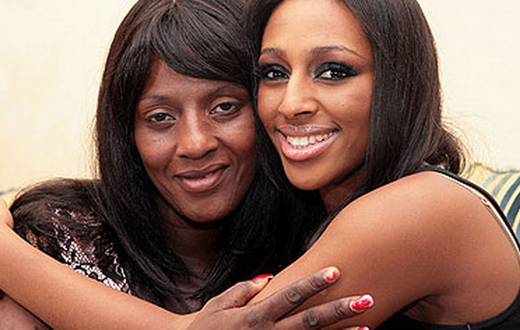 Her daughter, singer and UK X Factor winner Alexandra Burke confirmed the sad news on social media. Burke, who is currently on the TV show “Strictly Come Dancing,” plans to stay on during this difficult time. Soul II Soul are a British musical group formed in London in 1988. They are best known for their 1989 UK chart-topper and US Top 5 hit “Back to Life (However Do You Want Me),” and “Keep On Movin'” which reached number 5 in the UK and number 11 in the US. They won two Grammy Awards, and have been nominated for five Brit Awards – twice for Best British Group. Born Melissa Cecelia Ewen Bell, the singer fronted the group from 1993 to 1995, recording the singles “Wish” and “Be a Man” before leaving to follow her solo career in 1995. She had a string of singles released in 1997 and formed a new group, Soul Explosion, in 1999. Bell also recorded the singles “Into My World” and “Love’s in Need of Love Today” with Dazz. She also performed with Whitney Houston and Stevie Wonder. Listen: SZA Teams Up with Maroon 5 On New Single "What Lovers Do"